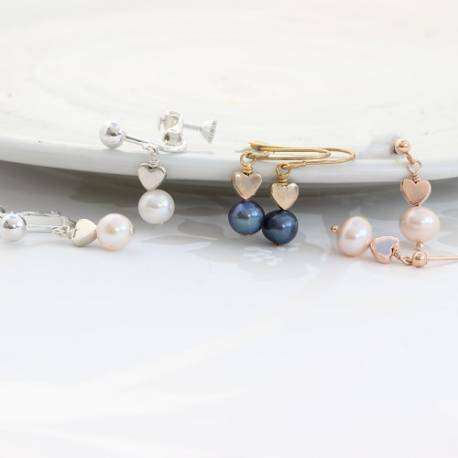 Classic pearl drop earring with sterling silver or rose gold or gold heart make the perfect jewellery gift for birthdays, anniversaries and Valentines. Or maybe just because you need a little treat. 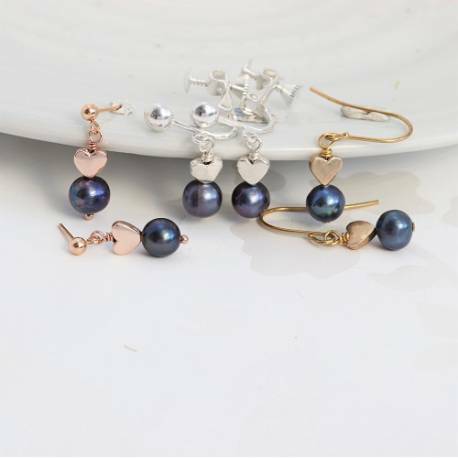 Classic pearl drop earring accentuated with a sterling silver or gold or rose gold heart, for adding timeless elegance and vintage chic to any outfit. 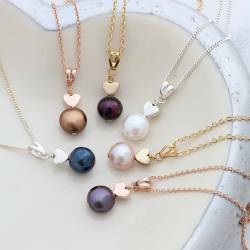 They are available in white, pink or peacock pearls, on sterling silver or gold plate and on fish hooks, studs or clip on for non pierced ears. The clip ons are lever back but have an adjustable screwback as well so you can get the perfect fit.